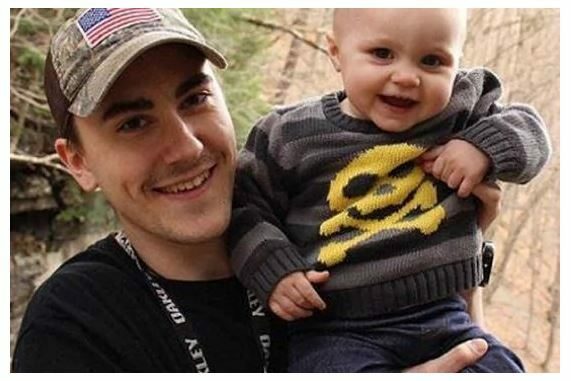 A 25-year-old father, Ryan Lawrence, recently pleaded guilty to the murder of his 1-year-old daughter Maddox, who only recently survived eye cancer. Lawrence had reportedly beaten her to death with a baseball bat, following what he termed ‘jealous rage’ because of the attention the little one was getting from all who cared for her. According to reports, Lawrence kidnapped his little girl, took her to a secluded area in Onondaga County in New York, beat her up real bad and then proceeded to set fire to her remains. Following the incident which happened in February, Lawrence was arrested after desperate family members had sent out a ‘missing persons’ report at the police station. He was found the next day, while Maddox’s body was discovered about 12 hours later. According to a detective, Lawrence had asked God to show him a sign that would stop him from killing his daughter, saying “God, if I’m not meant to kill her, make her stumble.” She didn’t stumble, so he killed her anyway. Lawrence who is getting his sentence next month, faces between 25 years to life in prison.